Leaders join forces to stop Kiambu, Kitui hatred – Kenyatta University TV (KUTV). All Rights Reserved. Machakos Governor Alfred Mutua and his Nyeri counterpart Mutahi Kahiga have come out to condemn brewing hatred between Kiambu and Kitui counties perpetrated by illicit utterances by some leaders and residents of the two feuding communities over charcoal business. This comes in the wake of conflicts that were orchestrated by banning of charcoal trade in Kitui County by Governor Charity Ngilu, and of a song released by unknown musicians, whose contents had the intention of demeaning aspects to the Kamba community. 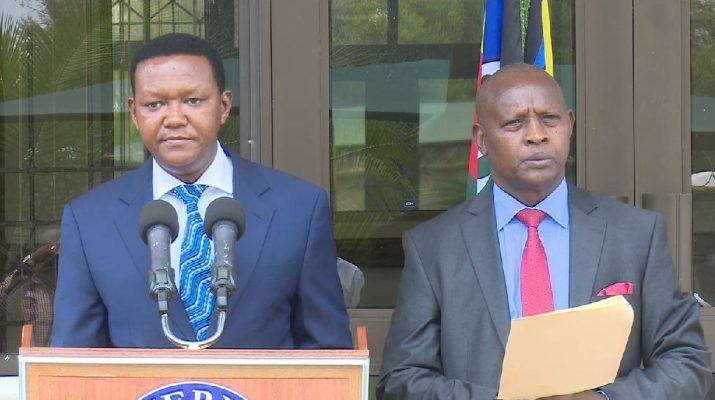 In a joint statement released outside Governor Mutua’s office in Machakos, the two County Chiefs said that the country risks growth of intolerance and the planting of seeds of hate due to political aspirations. They urged leaders to take responsibility of their utterances and actions and be on the front line in preaching peace among all. Kitui Governor Charitu Ngilu last month declared transportation of charcoal as illegal in the county, a move that saw several Lorries and cars transporting the commodity intercepted and burned by residents.